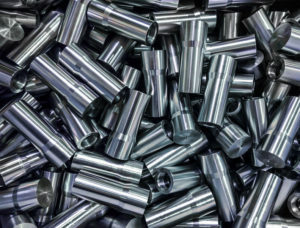 Coating material such as nickel-based alloys is a main element in several industries, particularly in oilfield, pipeline, refinery and electric industries. The main advantage of nickel hard coatings lies in the mixture of key characteristics such as high wear resistance, a high degree of resistance to chemicals, and great strength at increased temperatures. On the other hand, these benefits are offset by a huge limitation: the machining, specifically milling, is not easy. Tool life is particularly short and can only be used at low cutting speeds. However, nickel hard coating is useful since it helps to ensure the longevity of components. It provides a barrier against atmospheric working conditions. If the coating is not applied to end products, corrosion and wear cause the functionality of the component to deteriorate, even in its early stages of performance. Oftentimes this also has an effect on the unit it was used for, making it less effective and unusable in the long run. Nickel hard coatings can be used to prevent parts from failing. This is a cheaper alternative to expensive metal alloys, electroplated finish or stainless steel. Nickel hard coating can be used on a variety of applications including electronics, energy industry, refinery and general engineering. The coating produces extremely tough, abrasion-resistant, and corrosion-resistant surfaces. The hardness of the surface can be increased with heat treatment, or by decreasing its phosphorus content. As well, the chemistry of nickel hard coatings can be altered to give the coating various properties such as low to high phosphorous coating. All of today’s technology has contributed to developing basic component surface treatments, fire retardant coatings and top quality approval to be environmentally friendly for use. Nickel hard coatings are some of the most durable in the industry. Visit our site today for more information.